This show is a limited biography of Henry David Thoreau, told through his mind during a night he spends in jail. 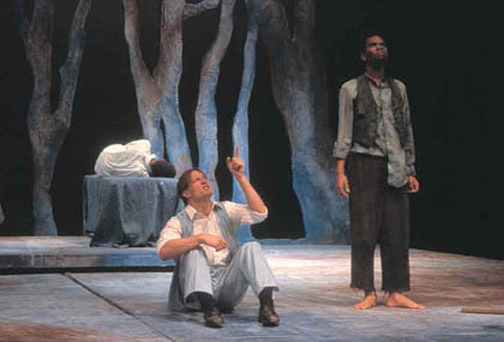 I think one of the strongest ideas in the play is the fact that any place can be a jail if you allow it to keep you separate from the rest of the world. 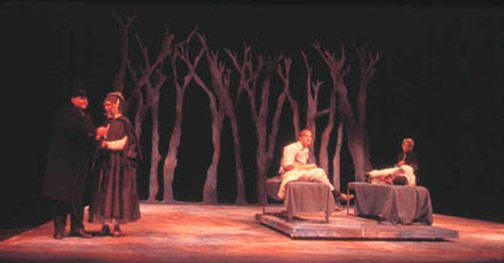 Lighting on the sparce trees upstage helped to lend to the idea of being in jail. Two production photos.